Bubba and I had a rough evening. I have had a headache and nausea for days, and she has a cough, runny nose and a good dose of the whinges. Not a great combination. 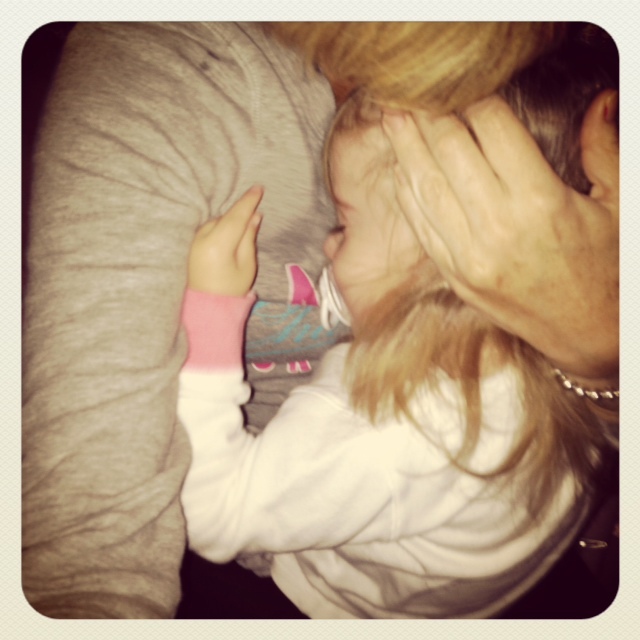 At one point she was crying and I was giving her a cuddle trying to console her. When she pulled her head away from me, she realised my sweater was wet because of her tears. Look mumma, I spill on you. It’s so much fun to live through her learning how to communicate. You know, except when it’s not. Then we just both end up spilling. Now, that’s just plain adorable!